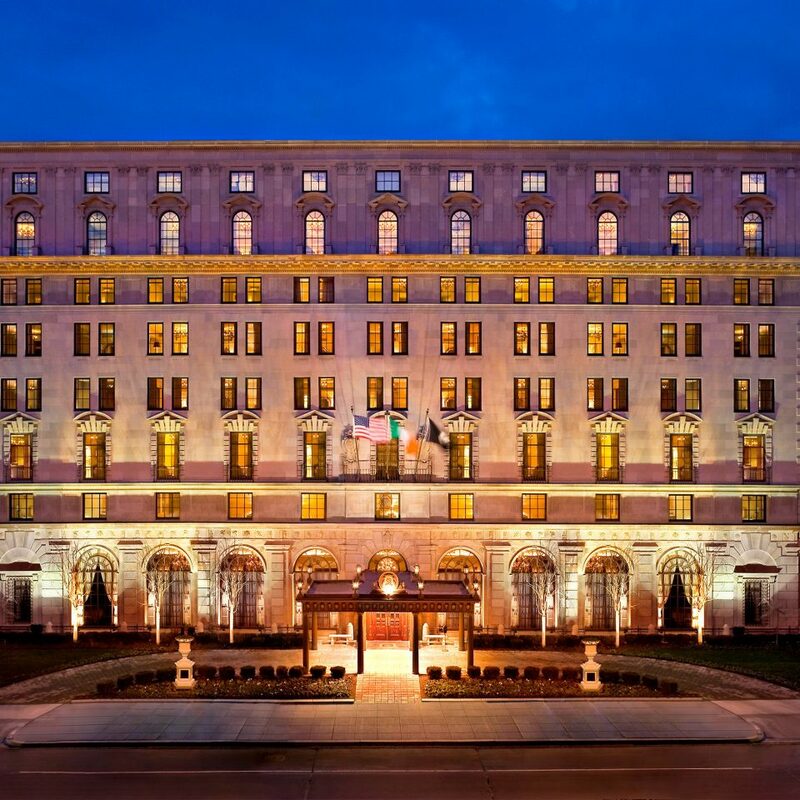 Built in 1926 by architect Mihran Mesrobian, the Italian-Renaissance design has attracted U.S. Presidents and their families as well as celebs such as Joan Crawford, Audrey Hepburn and Elizabeth Taylor. 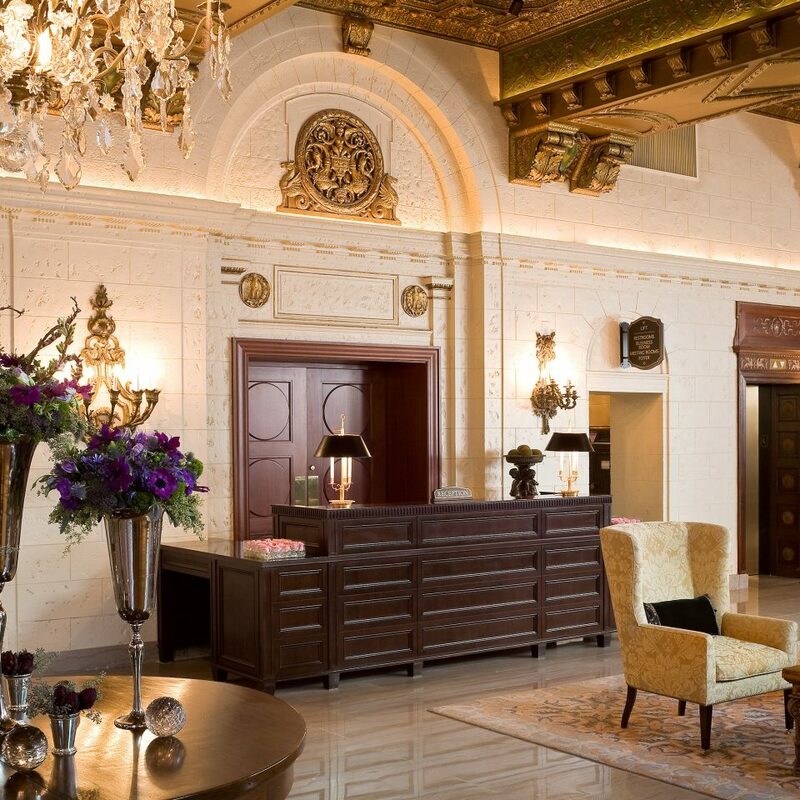 The hotel’s glamorous past is evident upon entering the lobby where a wall of palladium windows cast light onto the hotel’s showpiece, an ornate coffered ceiling. The classic, muted design by Sils Huniford is an ideal stage for plotting political moves or leisurely people-watching. In the Decanter restaurant, styles collide with silver-chrome and ivory-white tables and chairs neatly arranged beneath the rustic, beamed ceiling. 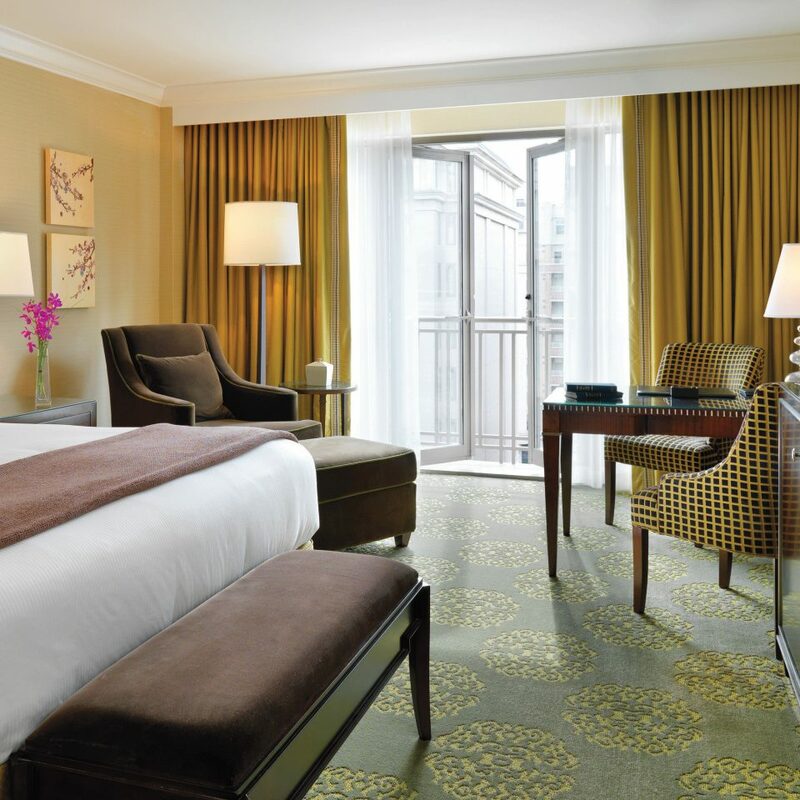 Four types of guest rooms are distinguished by location, size and color, featuring schemes in hues of lush gold or warm sienna. 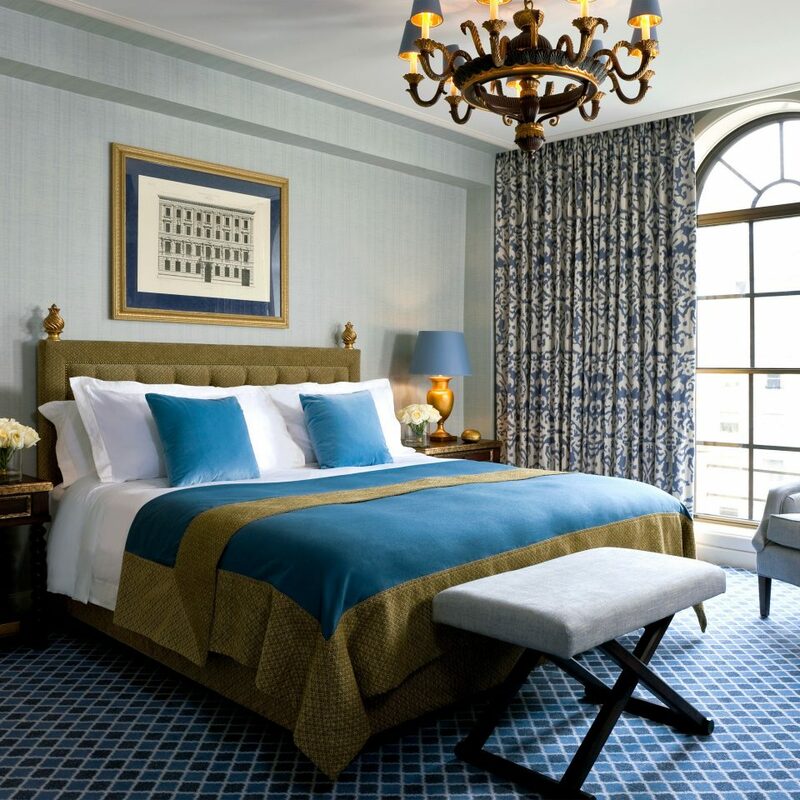 Beds are outfitted with crisp Pratesi linens, down duvets and pillows. 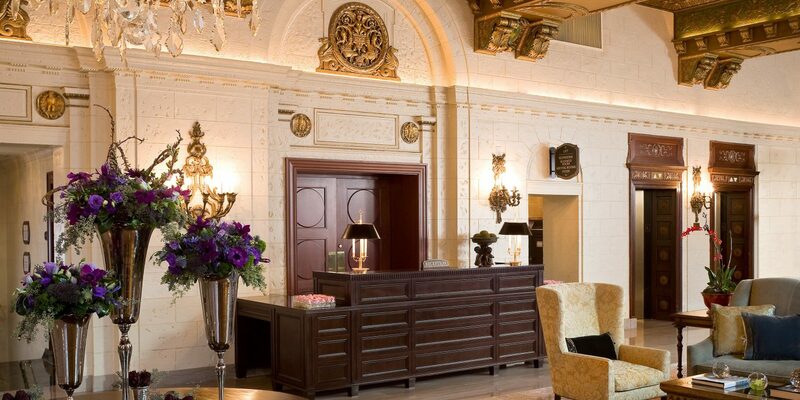 Modern technology, TVs, safes, and minibars are artfully framed in carved-wood consoles flanked by white columns. The bathrooms are comfortable cocoons with Italian marble vanities, earth-tone mosaic tiles, large mirrors with LCD TVs, Reméde bath produces and plush robes. Decanter, the hotel’s main restaurant, reflects the culinary passions of its chef, Sébastien Rondier, born in France’s Basque country. 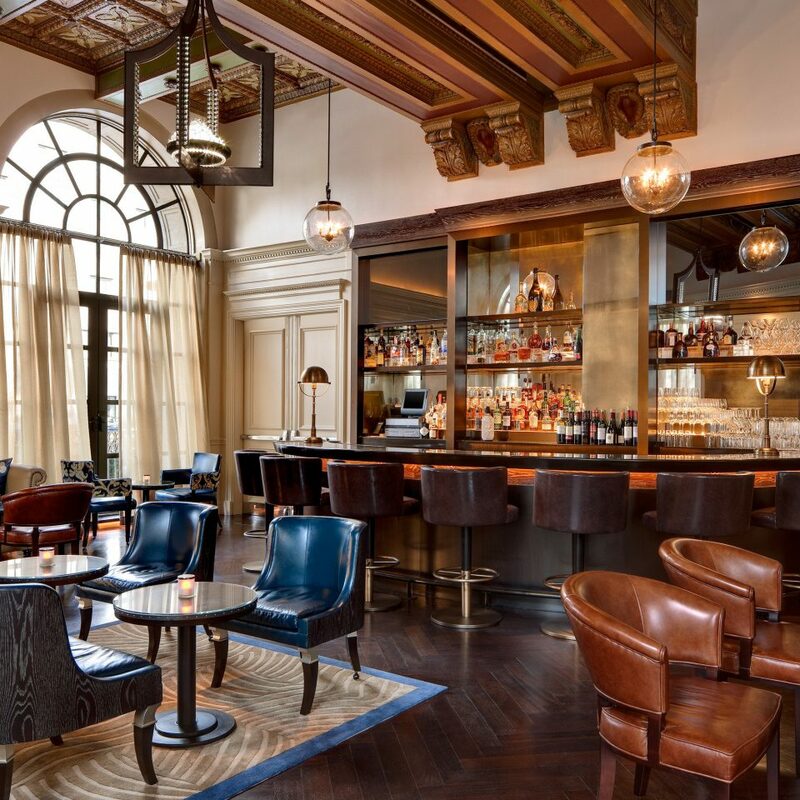 At the adjacent St. Regis bar, you can sip proper pre-Prohibition cocktails and nibble on lamb shank flatbread. 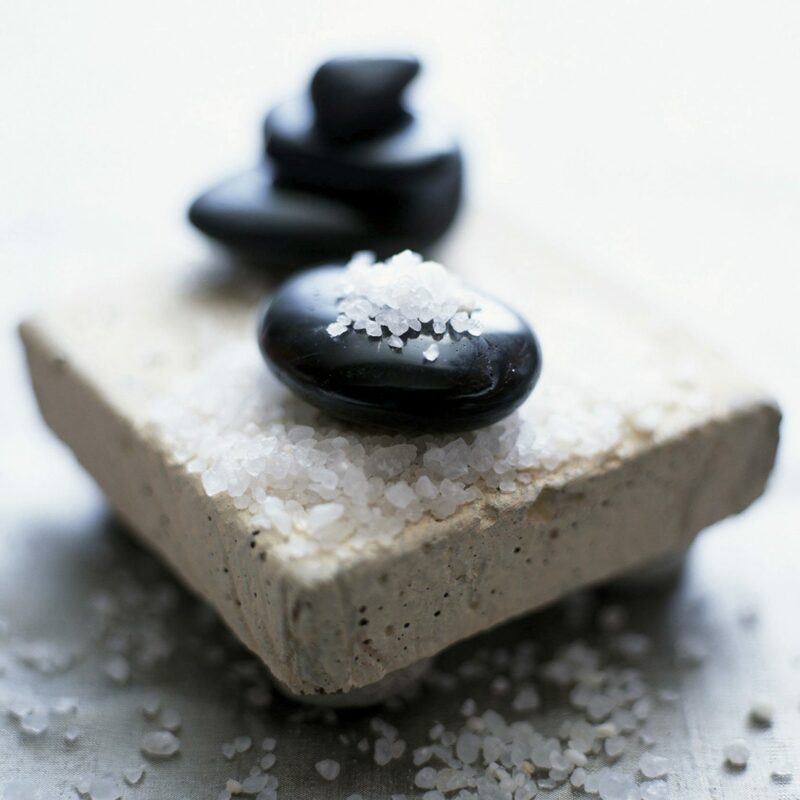 While the hotel gym is adequately equipped, the nearby access to Mint Spa is a welcome alternative. 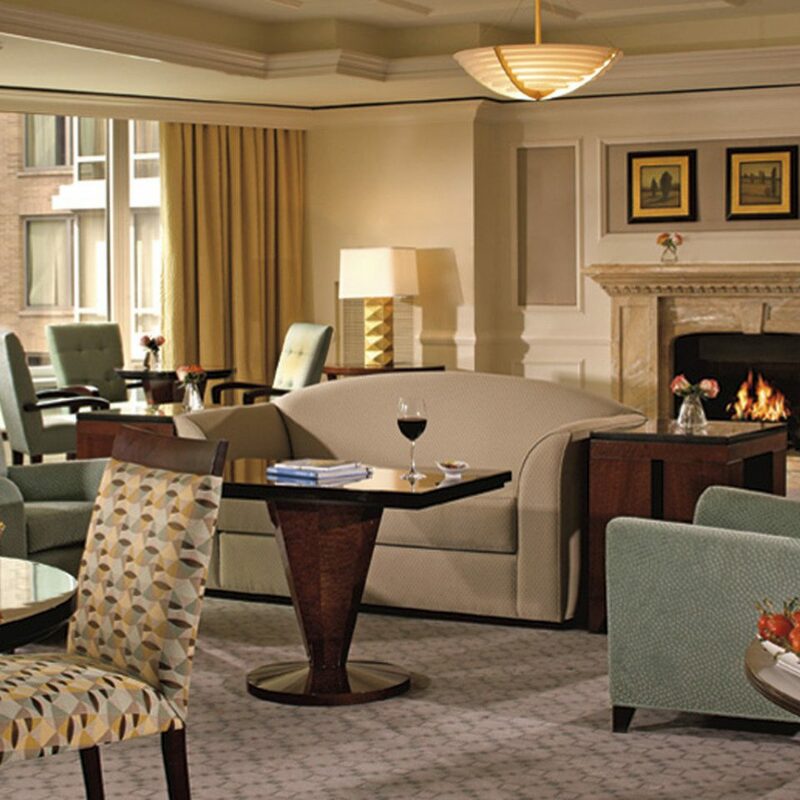 Guests can also access (for a $15 fee) the posh University Club, which holds an Olympic-sized pool and Sage Spa. 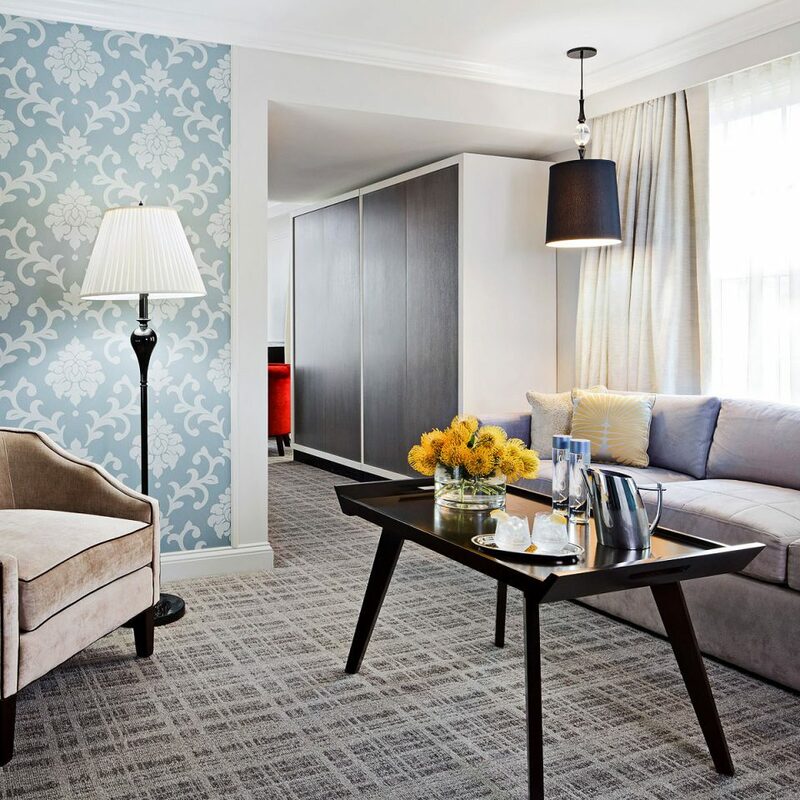 The St. Regis is just two blocks from the White House and close to many museums, including the International Spy Museum, the National Geographic Museum and the National Museum of Crime and Punishment. For lunch, grab a blue-cheese burger at the Old Ebbitt Grill, a popular stop for power-lunching politicians. 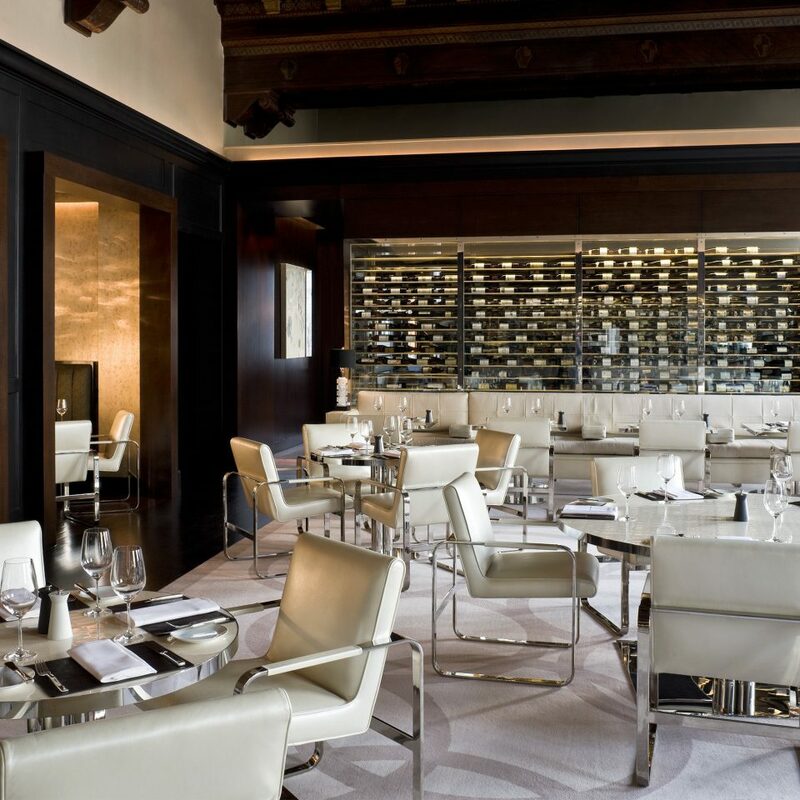 For dinner, reserve a table in the Atrium room at the elegantly chic Equinox, a favorite of First Lady Michelle Obama. 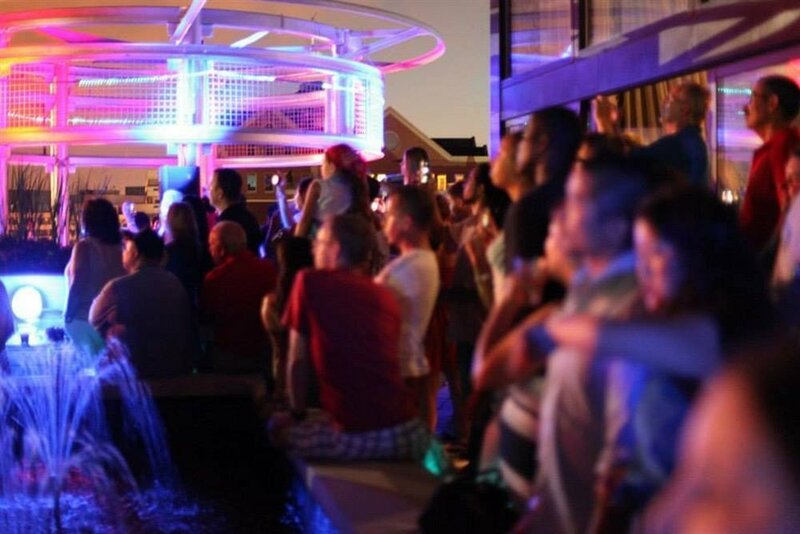 The endless shopping and energetic vibe of Georgetown is just a two-mile cab ride away. Amazing Tea Service/Phenomenal Pastry Chef! Our recent travels took us to Washington DC. While the beautiful cherry trees were in full bloom and historical buildings surrounded us everywhere, easily the most memorable part of the trip was the formal tea service at the St. Regis! Our waiter, Brian, served us the seasonal cherry blossom tea accompanied by a three tiered platter of delectable goodies: one tier of sweets, one tier of savory appetizers, and one tier of scones and jams. The food was fabulous - not just because of the tantalizing mix of flavors, but also because of the intricately designed decorations of each piece served. Each bite was a culinary masterpiece! While dining we had the pleasure of meeting Chef Andrew, and visiting with the super talented pastry chef Heather Dobson. Heather had been responsible for preparing and decorating a lot of the appetizers we had. She went a step further and prepared us a gourmet gluten free dark chocolate and berry cake. The whole experience was magical! 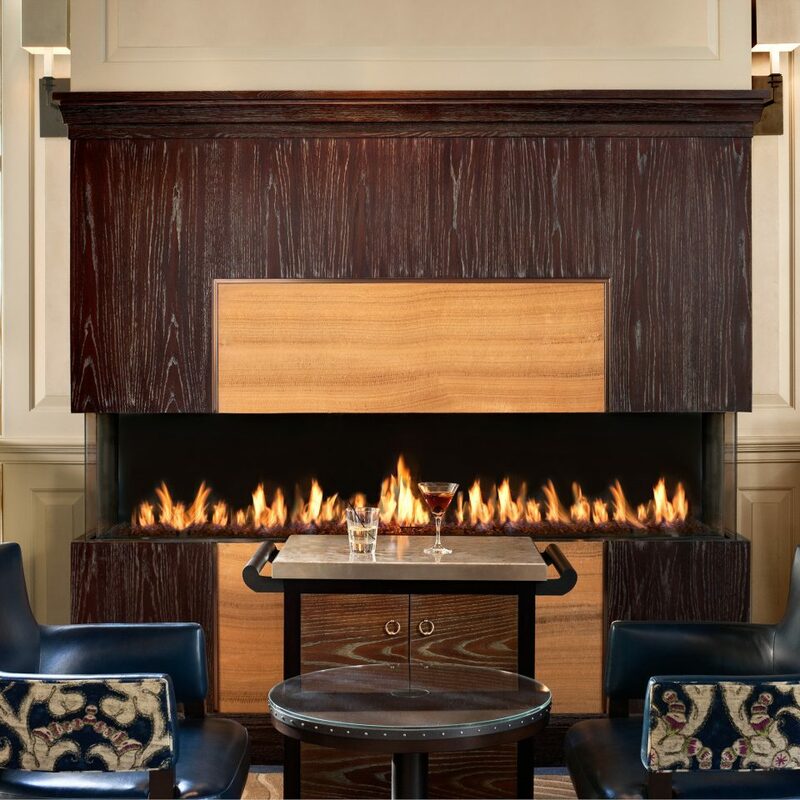 If you have a special occasion, I highly recommended pampering yourself with a tea at the St. Regis. You will love the food and presentation, and you may get to see more of Heather Dobson’s culinary creations on display in the lobby! Well worth the trip! Had some hickups with checkin staff (an intern) but management got back to me even after i checked out and apologized. Breakfast is a la carte these days with some outstanding options. Titaniums get a 50 USD discount on breakfast which is plenty. Huevos rancheros were great. Good location for runs to the jefferson memorial. 6pm champagne sabering is a must as at any SR across the globe. Cocktails at the bar are good. Old fashioneds are amazing! What a gorgeous room and spectacular service. Quiet but warm service from the staff who were attentive, but not instrusive. And the menu was full of spring vegetables in marvelous combinations. DO Not miss the truffle oil fries. WHOA! 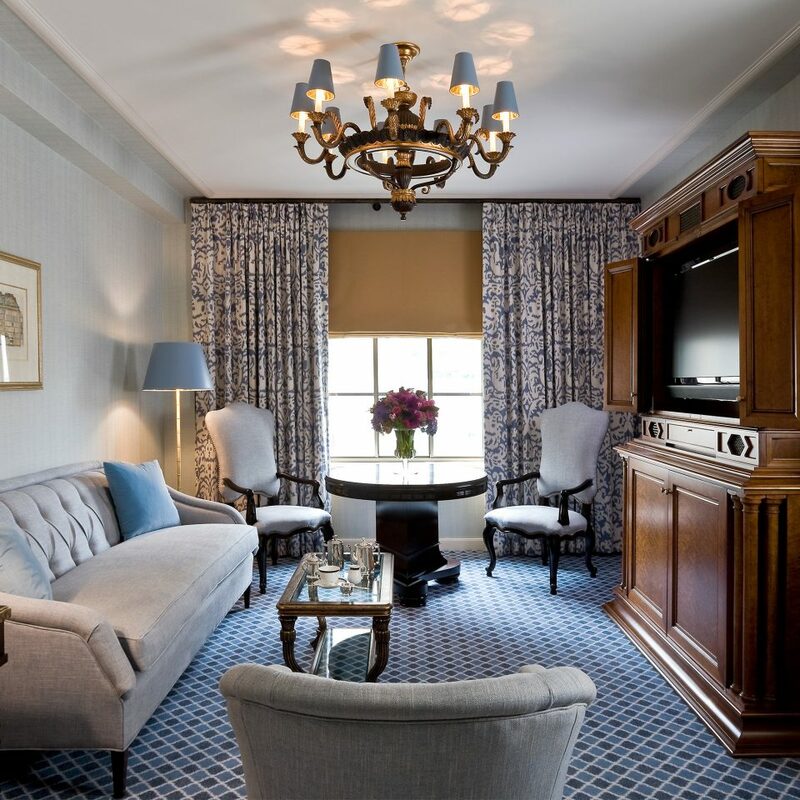 St. Regis is the best Hotel in DC as far as I can tell. Just so happened that I also stayed a few nights at the Park Hyatt on the same trip, and although it’s fine, there is quite a difference between the two. In particular, the service. On that measure, the SR really is engaged and interested in taking care of its guests’ needs. They inquire, anticipate, care. At the PH, they will respond if asked, but the staff basically stands around and watches the world go by (including the leftover room service plates and glasses which can be found sitting around in the hallways all day). 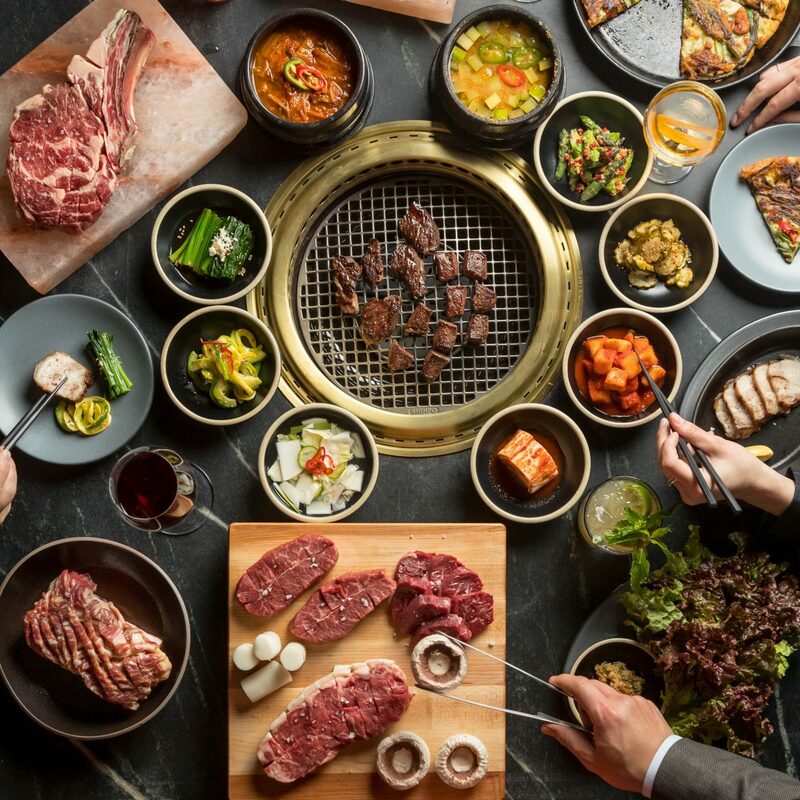 Compounding to this is the very popular Blue Duck restaurant which effectively creates an all day grand central station at that hotel, blurring the Hotel and restaurant operations. Back to the SR, to emphasize what I had already observed, as I was checking out, a gentleman came up to me and introduced himself. It was the GM, and he asked me about my stay and if the SR had exceeded my expectations? Indeed, it had. It’s a nice (smallish) size Hotel with an unbeatable location, and I will stay there in the future. Bravo! We are locals who “staycation” in the District regularly. 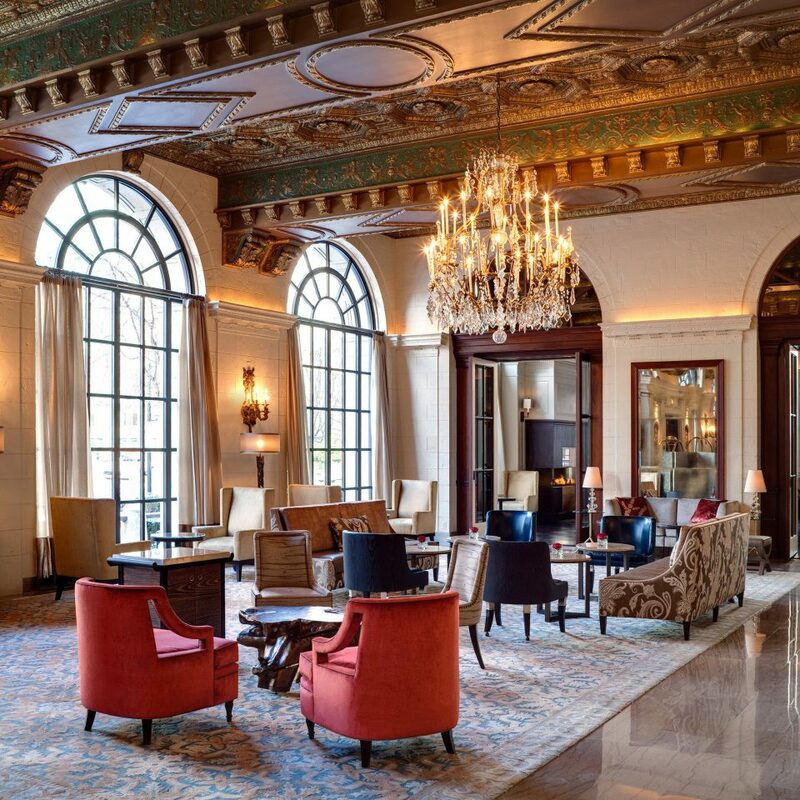 With all the new swank, hip hotels in DC, why do we keep returning to the St. Regis? Answer: they do everything right! 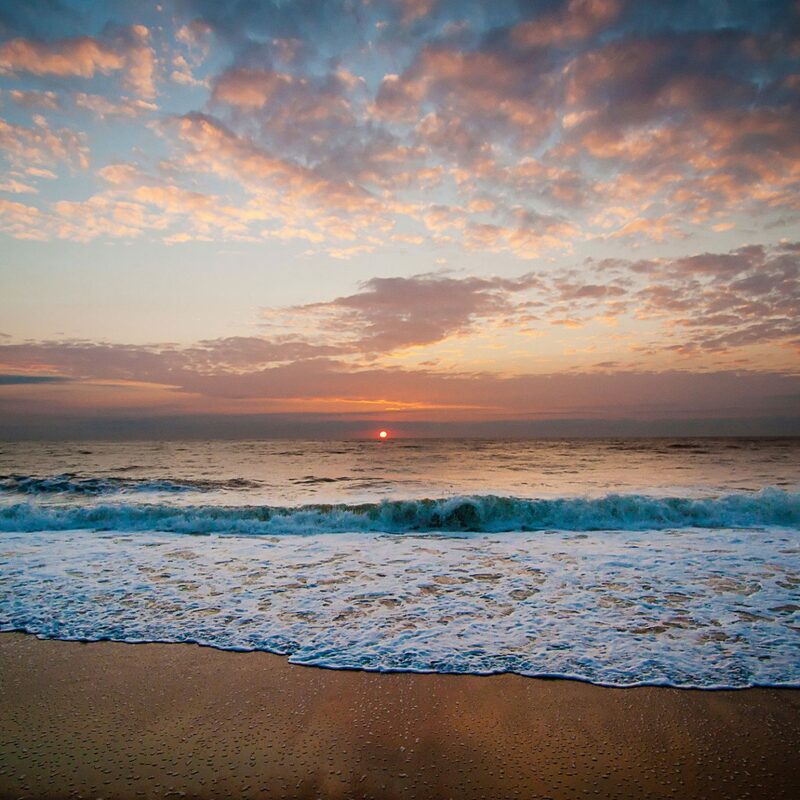 Professional, accommodating, without the condescending vibe you too often feel at other luxury hotels. 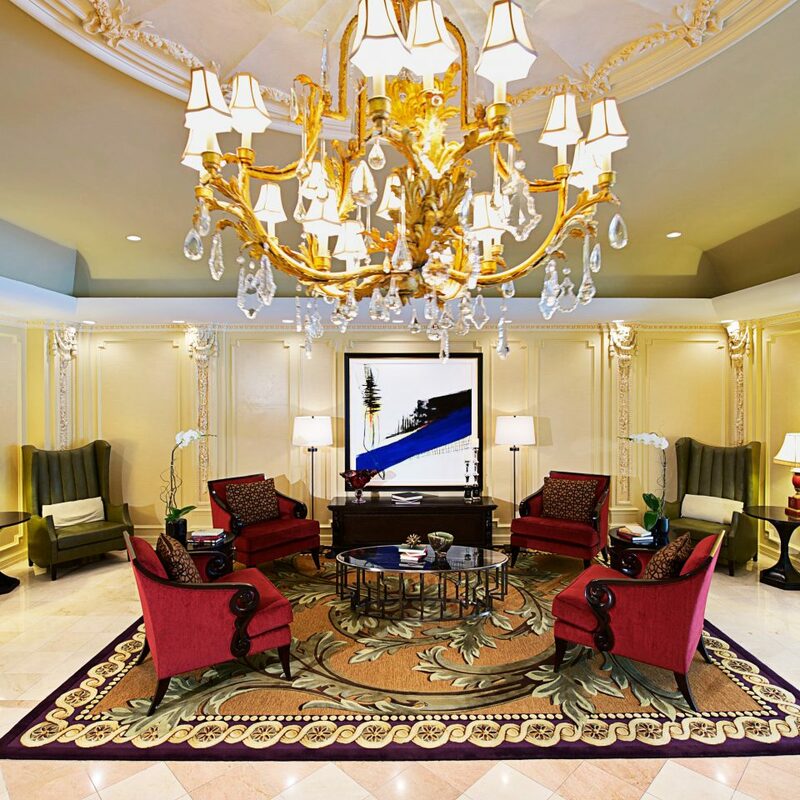 The lobby is drop dead gorgeous, the location can’t be beat, the rooms, always well appointed, it’s the total package, and the service is simply outstanding.This hotel will not disappoint.